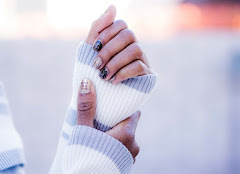 Today I'm sharing a DIY fall manicure with you. I also did one for Halloween--I call it pumpkin nails--but this mani features two of my favorite colors for fall: gray and wine. 1. 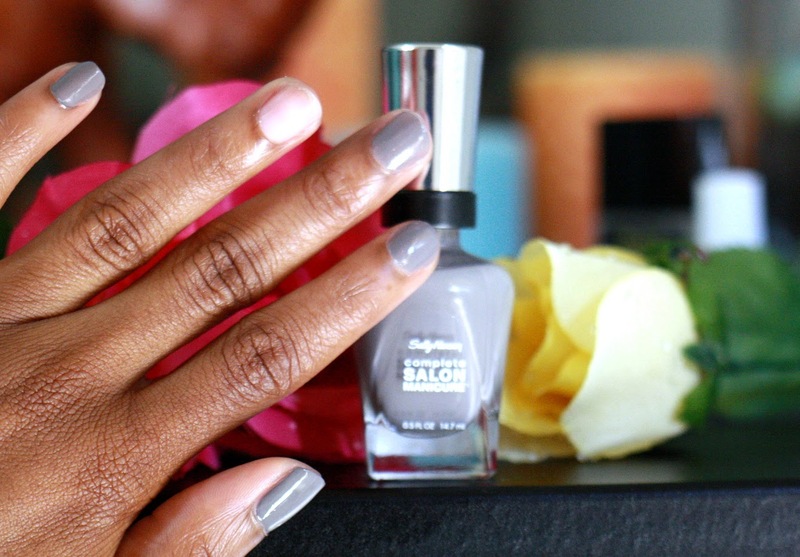 Start with a base coat and then apply Griege by Sally Hansen. This is my gray polish of choice, but feel free to use whatever you like. Leave one nail untouched as it will be your accent nail. Griege is a bit shinier than I would like, but we'll take care of that later on in the DIY. 2. Apply Wicked by Essie to your accent nail. 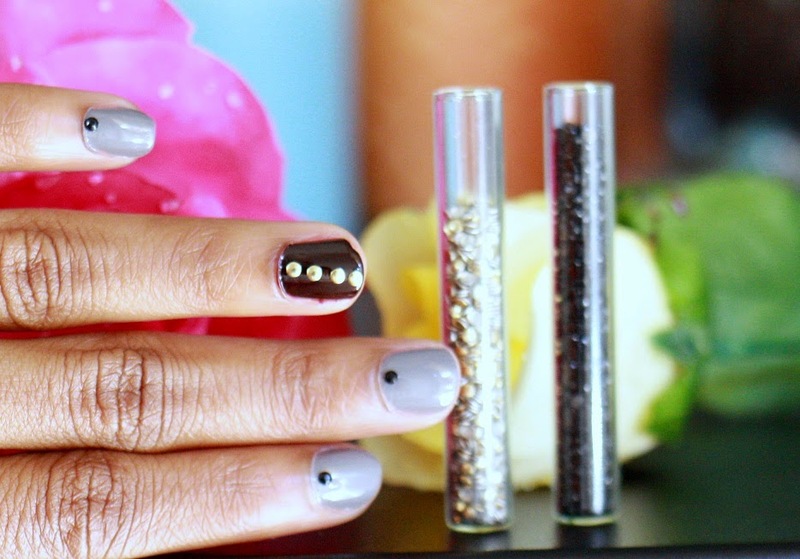 Having an accent nail adds a bit of definition to your DIY fall manicure. This polish goes on pretty easily, and only takes two coats to look even. 3. 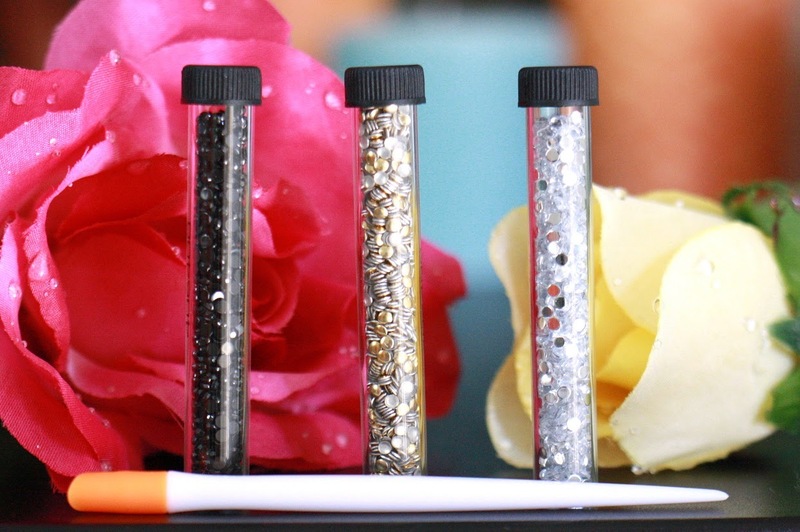 Place Sally Hansen I Heart Nail Art Stud Kit on your nails. You can apply it however you see fit, but I added the black crystals to the bottom of my nails, and then added the gold studs in a vertical design on the accent nail. I loved the gold and black studs for this particular design, but the kit also has white crystals. The pick-up tool that's included didn't really work for me as I found it easier to place these on my nails with my fingertips. 4. 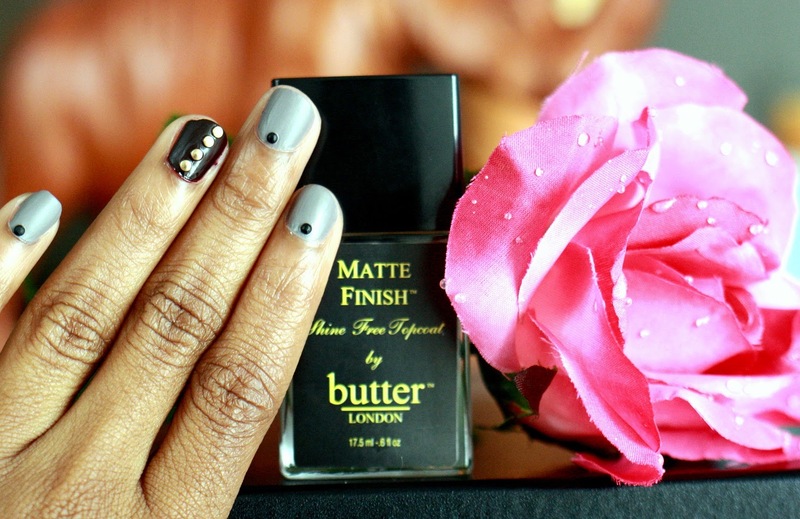 Finish with the butter London matte topcoat. 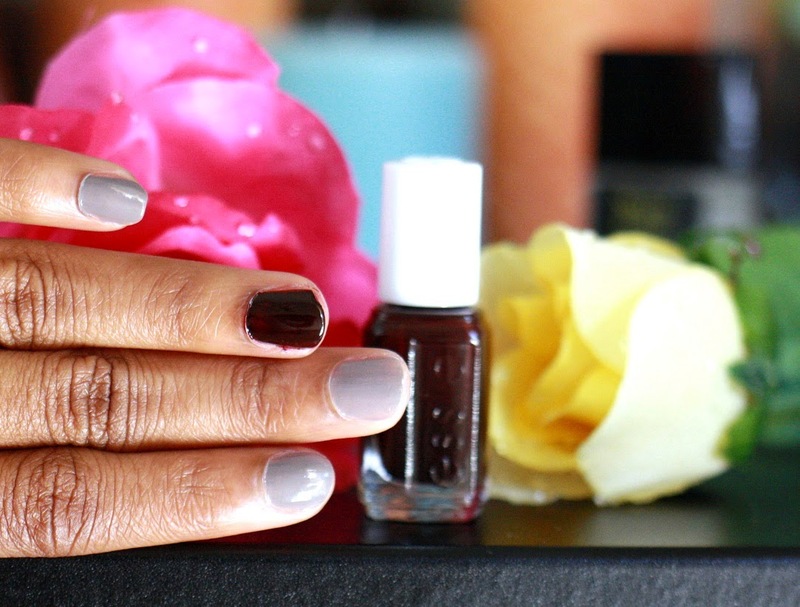 I felt like a matte finish would really make this manicure perfect for fall. It also allows the studs to pop a bit more. This is how I had envisioned the gray nail polish to look. This is so pretty. 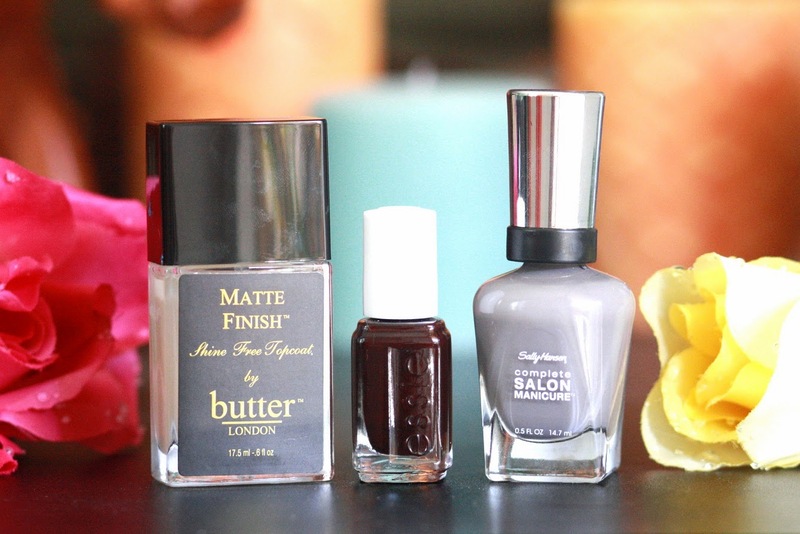 I love the grey and wine color combination and that London Matte topcoat is beautiful. Have a great weekend Cheryl. II need to get the sally hansen studs asap, this is so cute. The colors you used are so chic and I love the touch of glam the studs add. 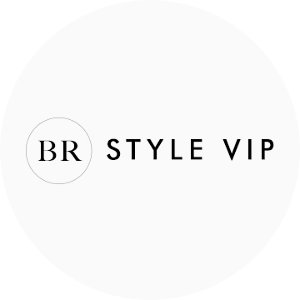 Great color combo and simple to do! Thanks for the idea! 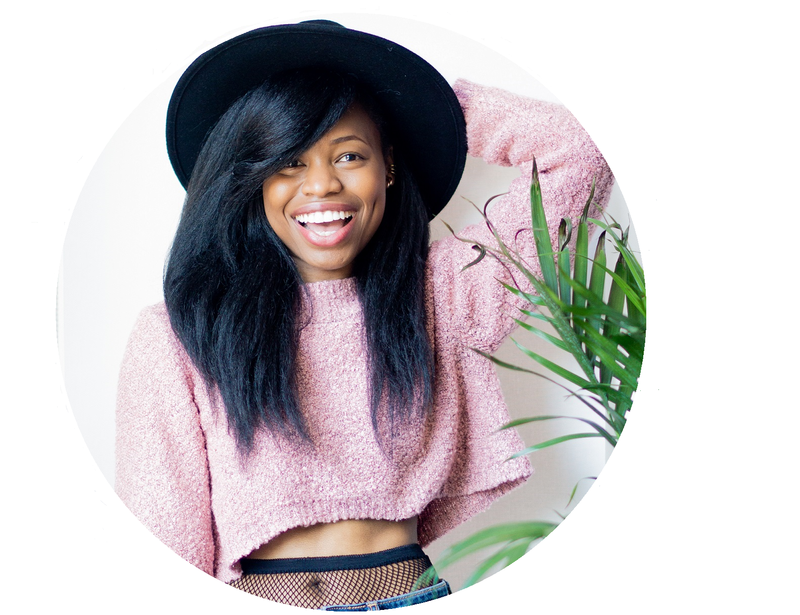 Love this DIY post! Very creative! Alright, I need that stud kit!